Many people visit Google on a daily basis for information about all sorts of things. 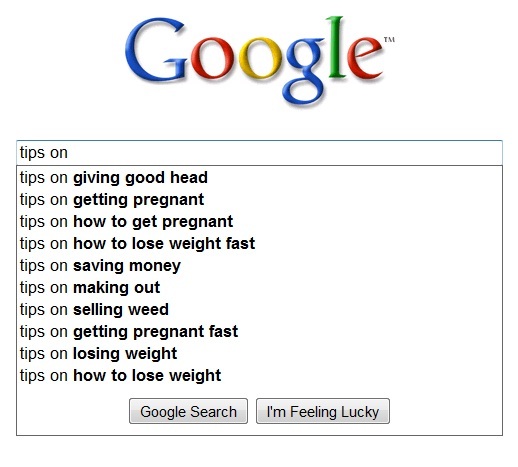 Never have I thought that there are so many people that still need tips on how to get pregnant, and various other activities. Have some weed on the side that you want to sell? Try asking Google as well! Try it yourself! just visit google.com and start writing “tips on” – the results are presented to you immediately in the drop down menu. Let us know if you find some other interesting searches! How do the Google Adwords work? Google has all my data… How do I back it up now?